Launching the book properly seems like a good idea, so please join me for an official Book Launch of “It Seemed Like A Good Idea at the Time” at Centennial Market, the current home of Wheelie Good Coffee and more books with the Books and Beans store. Everyone welcome – I’ll be signing books, and there’ll be hot drinks, book-related goodies and even UglyCakes available! If anyone has started Nanowrimo by then too, feel free to bring along your Work In Progress. Get a free coffee refill every time you write 1000 words! It Seemed Like A Good Idea at the Time, my memoir work about my attempts to start different coffee businesses, is getting published next year, and I am madly excited! Actually. “excited” is an understatement; it was a total surprise and I am over the moon about it! I had resigned myself to the fact that I was never going to get anywhere with traditional publishers and had started making plans to self-publish instead. I did a mini print run, and the dozen or so copies that you lovely people bought at the market the other week are (obviously) now exclusive and valuable first editions (ahem). Hang on to those flawed first attempts! It took 16 months to find a publisher. I made a few very half-hearted attempts to find an agent, but soon gave in and focused on querying publishers that accepted unsolicited manuscripts. After 8 other rejections, one brush with a vanity publisher who didn’t advertise themselves as such (and wanted nearly $4000 to publish it) and one place that hasn’t ever replied after more than a year, I finally got lucky and received an offer to publish my book! Pottersfield Press in Nova Scotia publish a lot of memoirs and Canadiana, and so mine will come out with them in late summer 2018. I’ll even get a small advance! The publisher assigned me an editor, Julia, and I will start the next stage of turning my words into something commercially acceptable in the new year. I can’t wait! Does exactly what it says on the cover! 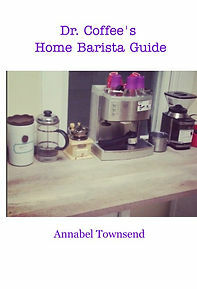 A short guide to making the best coffee at home, from the experts; how to use different machines and gadgets, how to choose and store coffee beans, and even how to roast coffee at home. 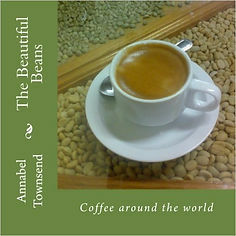 The Beautiful Beans is an exploration of coffee around the globe, from farms high in the tropical cloud forests of Central America, through the complex roasting process and finally into the hands of skilled baristas.